Komenda, J, Masopust, T, & van Schuppen, J.H. (2011). 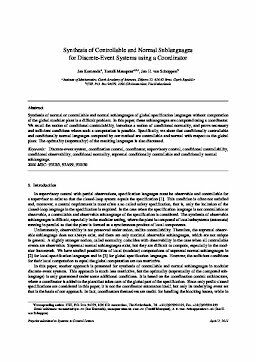 Synthesis of controllable and normal sublanguages for discrete-event systems using a coordinator. Systems and Control Letters, 60, 492–502.